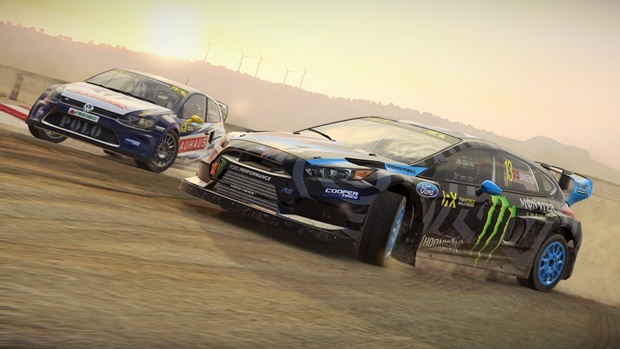 Paul Coleman, Chief Game Designer gives us the lowdown on DiRT 4. DiRT 4 is one 2017’s best racing games or should I dare say one of the best games of the year. GamingBolt’s review reflects this sentiment, wherein we awarded the game a superb 9/10. Around the launch date of the game, we caught with up Paul Coleman, who is the Chief Game Designer on DiRT 4 and asked his several questions ranging from the several gameplay mechanics to possible PS4 Pro and Xbox Scorpio support. With Dirt 4 how do you plan to broaden the appeal of off-road rallying motorsport? Off-Road racing is an incredible sport to take part in, but watching it can be a challenge. Often events take place over a long period of time and are on TV channels that not everyone has access to, so fewer people are aware of how cool it really is. To broaden the appeal, we have looked beyond our traditional core sports of Rally and Rallycross and diversified into Shortcourse Truck and Buggy Racing as well as offering players Joyride, which is all about skill-based driving over a course set out in a defined play area. 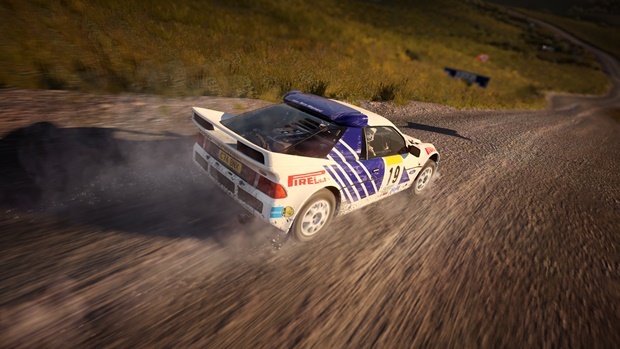 "We definitely didn’t set out to remake Colin McRae Rally, but because both games were striving to create the best rally game ever made, I think the feeling they gave the player was very similar despite the fact that they were released nearly 20 years apart." So, Dirt 4 is technically a follow up to the exceptional Dirt Rally but it isn’t a direct follow up? Why is that? We know that players who played DiRT Rally and took the time to get into it really enjoyed the experience, so we wanted to make sure that we maintained that for those players. That said, we also know that a whole lot of players were put off by the fact that DiRT Rally was unashamedly hard. We’ve done so much more to guide players into the experience with DiRT 4. We start with a handling choice between Gamer and Simulation. If you are new to DiRT or returning after having played DiRT 2 or 3, then Gamer is probably the best place to start. If you love the challenge of simulation or you enjoyed DiRT Rally, then you should probably dive straight in with Simulation handling. Once you make that choice, we take you through a welcome event and into the DiRT Academy, which is located at DirtFish Rallyschool in Washington State. This is a real place and the techniques you learn in game are the same as you would learn if you were to go there. Once you’ve found your feet you can then start your career. Every event in the career is much more carefully curated than ever before because of Your Stage, our procedural stage generation system. It has given the design team better control over the difficulty of the stages and has removed all sense of repeating stages as you progress. 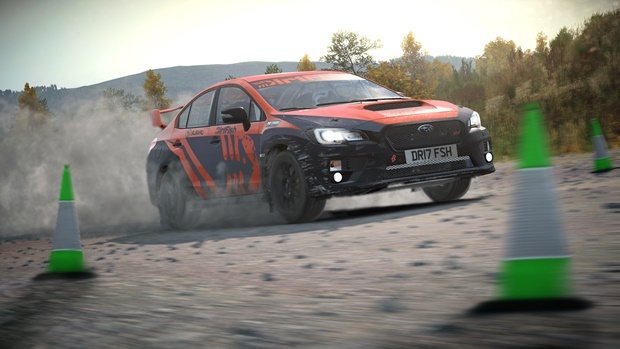 Ultimately, we want as many people as possible to enjoy our games, and so it was important for us to go beyond the core audiences that enjoyed DiRT Rally. Making DiRT 4 was the most logical thing to do. Dirt Rally was perhaps the best rally game I have played in ages. In many ways it felt similar to the older Colin McRae games which I think is a fantastic nostalgic feeling. How do you plan to carry on that feeling with Dirt 4? It’s interesting you say that. I was shown the original game design document for Colin McRae Rally while we were working on DiRT Rally, and if you put the designs side by side, the things they were setting out to achieve were incredibly similar. We definitely didn’t set out to remake Colin McRae Rally, but because both games were striving to create the best rally game ever made, I think the feeling they gave the player was very similar despite the fact that they were released nearly 20 years apart. "The coolest thing about Your Stage is that if you race a stage and enjoy it, you can rate it, save it to your favorites and then share it with your friends. I think this will really open up the online competition and ensure that people continue to be challenged by new stages a long time after DiRT 4 is released." So Dirt 4 has infinite rally stages. How does it work? Well, I can’t go into the specific details as that would be giving away our secrets, but suffice to say we use complex algorithms to run a route through a pre-existing landscape. The system chooses a starting point and then uses the algorithm to make sure that the stage follows an appropriate path, doesn’t fold back on itself, and obeys the rules of the landscape, such as not cutting through lakes and mountains. It is an incredibly powerful piece of technology and this is just the start of how we plan to use it, however for DiRT 4 we wanted to ensure that the experience of generating stages was as immediate as possible for the player. As a result, we have allowed the player to choose the length of the stage and its complexity before they hit generate. It really is that simple and the possibilities are near infinite. 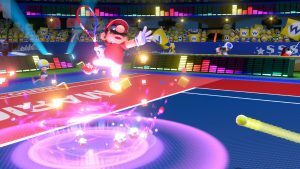 Your Stage seems like fantastic feature but players have some doubts. With only 5 locations, how do you plan to make it feel fresh? I get their concerns, but we have always had a fairly limited number of locations in our games and each of those locations had a small number of unique stages in them. 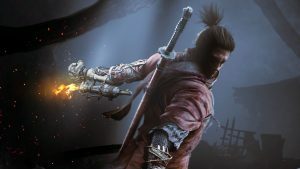 This meant that most players had seen every stage that the game had to offer after about three hours of playing through the career. With Your Stage, that extremely limited number of unique stages has been blown wide open. We’ve been able to curate around 300 hundred unique stages through our career and in doing so we have been able to smooth the difficulty curve better than we have ever been able to do before. The coolest thing about Your Stage is that if you race a stage and enjoy it, you can rate it, save it to your favorites and then share it with your friends. I think this will really open up the online competition and ensure that people continue to be challenged by new stages a long time after DiRT 4 is released. The year is packed with big racing games and you will be going off against Gran Turismo Sport, Project CARS 2 and the next Forza. How will Dirt 4 stand up against the rest of the competition? Well for a start, I think it is great that there are so many big racing titles out there for fans to enjoy. Some people have been saying that racing games have been going into decline, but it is great to see games getting released and the genre enjoying a real resurgence. From our perspective, DiRT has always had its own unique feeling and personality and that has set us apart from many of the other racing games out there. It would have been easy for us to just keep selling the same type of game, but as a studio it is important for us to continue to innovate so that we can maintain our position at the forefront of off road racing. "Perhaps the coolest thing about running your own team is that you get to choose your livery design and colors and sign contracts with sponsors to place on your vehicles. It’s an area of customization that we have never done in the DiRT franchise before and I think it is a really neat enhancement to make the career that much more personal to you." The game features 50 cars…a decent number. But how do these cars differ from each other? Have you fine-tuned each and one of them according to their real-life variables? Yes, absolutely! If you look at the types of cars we represent in DiRT 4, you could be forgiven for thinking that they would all drive pretty much the same. After all, they are mostly based on road going saloon cars, with similar engine sizes and chassis layouts. That is actually where our simulation team has done such incredible work. By modeling the many different types of suspension and chassis geometry, by accurately simulating the way each type of differential works, you end up with every car having its own character and nuance. We set every car up so that it exudes the character that it is known for, but you can dive into the tuning options and tweak the set up to your driving style if you wish. Dirt Rally also featured some fantastic vehicle sounds. How are you upping it in 4? Hah! We are turning it up to 11! Seriously though, our audio team loves to innovate and develop new techniques to ensure that the fidelity of our recordings is better than ever. One of the most exciting things they have managed to do for DiRT 4 is to secure access to an ultra rare Lancia 037 Group B car. They covered it in microphones and recorded it driving around a test track. When we used the car in game in a recent livestream, our fans were blown away with how good it sounded. It’s such a unique car and one of the few rally cars that is supercharged, so it was important for us to capture that sound properly. What kind of improvements have you made to track and environment details compared to Dirt Rally? Much of the improvements come from the new lighting model. It allows us to showcase the environments in many more times of day and weather conditions than we have ever been able to do before. As a result, there is considerably more variety every time you run a race in the same location. We’ve also found that because we are using Your Stage to procedurally generate our routes, we see some stages that we would never have dreamed of making if we had been limited to just a handful of courses in each location. They are awesome moments like coming over a crest and seeing the road snaking away into the valley ahead or times where you literally get a two or three miles of near straight road where you can just pin the throttle and drive as fast as you dare. Weather wise, we have made a heap of improvements including changeable weather. So now you can start a race and there will be small droplets of rain but by the end you are in a torrential downpour. Likewise you can be driving a stage in overcast conditions and you suddenly get plunged into thick fog. They all make a significant difference to how you need to react as a driver. Will it be possible for you to explain the career mode? How deep is it compare to say Dirt 3? Making a more in depth career mode was vitally important for DiRT 4. We focus tested a number of players and they were keen to have a play through that took them about 15 hours but we knew also that there were many players who wanted an even deeper experience. I think we have catered well to both groups with plenty in between. Once you have graduated from the DiRT Academy, you embark on your rally career in Michigan. You quickly find that you’ll then be invited to race in Landrush and Rallycross Championships around the world. Another key addition is that we let you choose between being a driver who races for teams based on driver offers or, if you can afford a car, starting your own team and hiring your own engineers to compete. If you run your own team there are more management aspects to deal with, but you take a bigger cut from your winnings. Perhaps the coolest thing about running your own team is that you get to choose your livery design and colors and sign contracts with sponsors to place on your vehicles. It’s an area of customization that we have never done in the DiRT franchise before and I think it is a really neat enhancement to make the career that much more personal to you. What can you tell us about the game’s engine and the enhancements you have made for Dirt 4? As I mentioned previously, probably the biggest enhancement has been to the lighting and the fact that it adds a significant amount of variety and atmosphere to each of our locations. That said, we have made some really strong evolutions to the simulation engine that we developed with the help of our community during DiRT Rally. The key areas we have improved are; aerodynamics, the way we model the chassis geometry, and improvements to the asphalt tire model, especially the Rallycross crossply tire. Finally, the other significant improvement comes from the introduction of our Gamer handling model. This was developed because we wanted more players to enjoy DiRT 4, but when we focus tested our simulation model on them, they struggled to keep the car on the road. We tried adding a load of assists but we found that they still struggled, and more importantly they felt that the game was not fun to play. We took a step back and approached the problem from a different direction. The result is that we have an alternative handling model that requires less skill to go fast, but also feels empowering and a great deal of fun. It really is a very special thing and I’m delighted that more players are going to be able to enjoy DiRT 4 as a result. 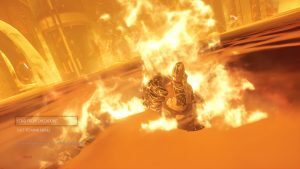 "We haven’t got any plans to support Scorpio at the moment but it really is too early for us to be making any decisions about it." 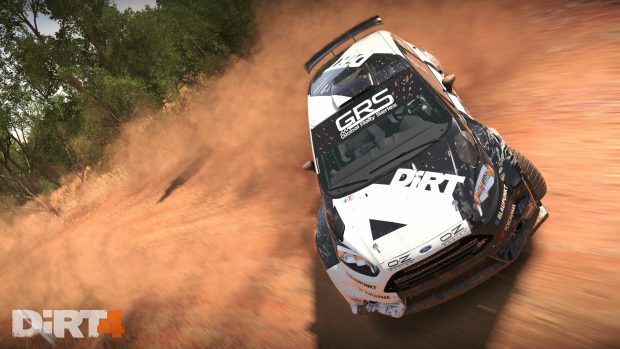 Will Dirt 4 run at 1080p and 60fps on both PS4 and Xbox One? 60fps is the most important thing for us. Our aim is to run it at 1080p as much as we can, but we dynamically drop the resolution to maintain the framerate if we have to. Do you have any enhancements planned for the PS4 Pro version? Can you reveal the resolution and frame rate for the Pro version? The tech guys don’t like me answering this question as I will inevitably get something wrong, but suffice to say there are some improvements. Resolution-wise it will run 1080p still and the framerate will remain locked at 60fps. The Scorpio has been announced by Microsoft but Dirt 4 is launching before it. Any plans to add support for it down the line? We haven’t got any plans to support Scorpio at the moment but it really is too early for us to be making any decisions about it. Scorpio is a powerful hardware and given the expertise you have with PC gaming, do you think its hardware will be able to support 4K/60fps for Dirt 4? I think it will be interesting to try. We know many of our PC community enjoy DiRT Rally in 4k so it is theoretically possible. As I have said before, the tech guys won’t be happy with me making any promises so you’ll just have to wait and see. Is there anything else you want to tell our readers before we let you go? I’m looking forward to meeting some of them on the track when DiRT 4 is released in June!